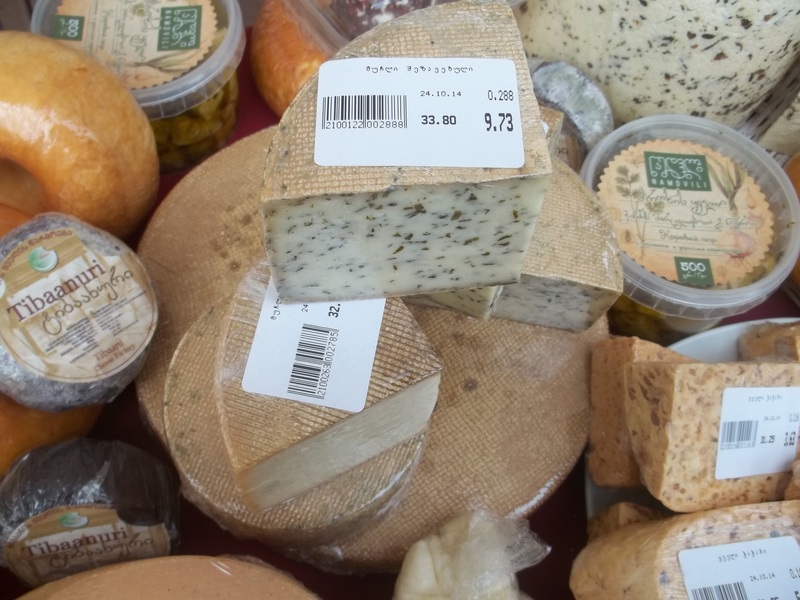 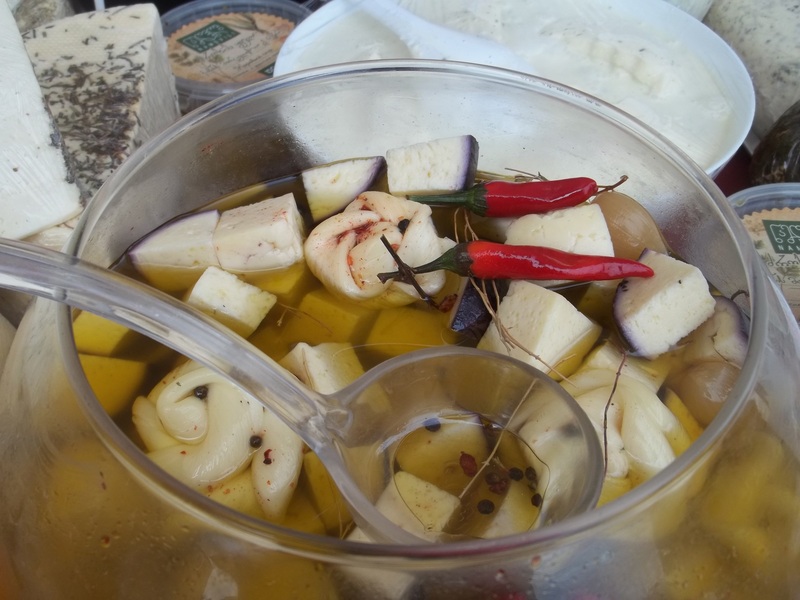 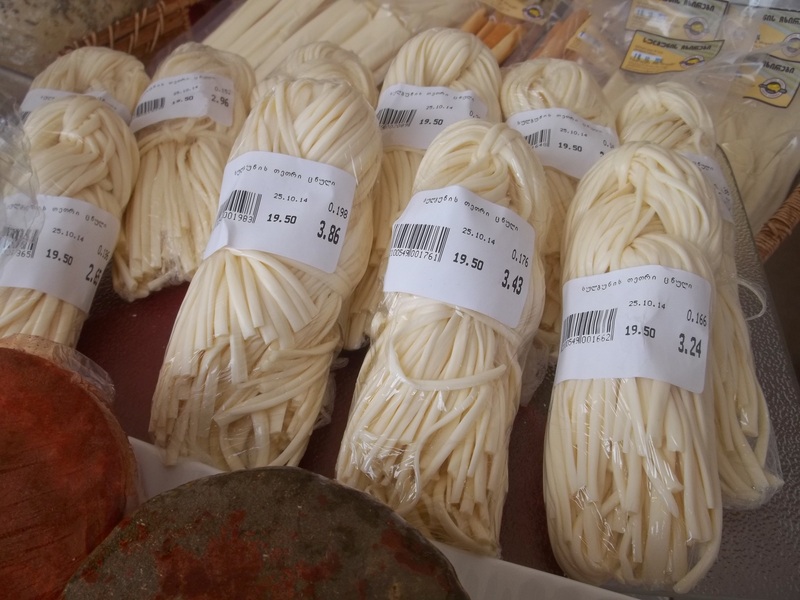 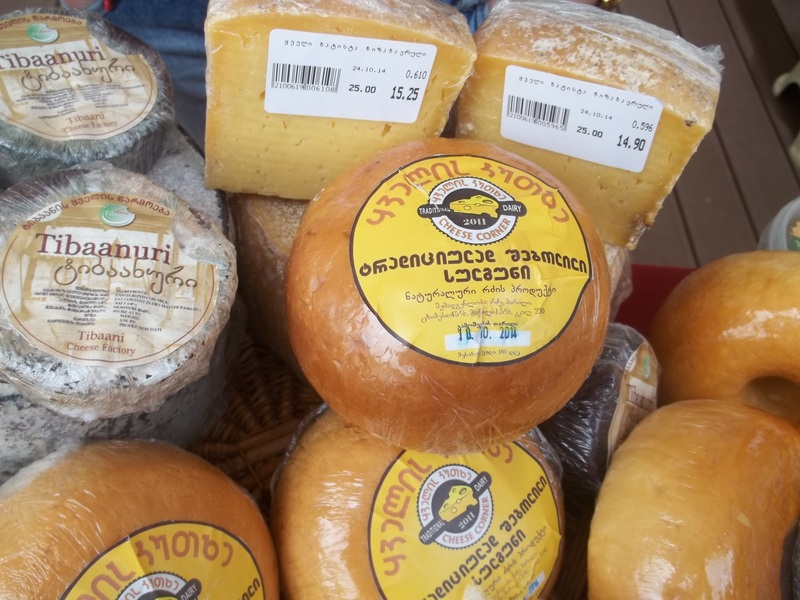 Sulguni and Imeretian cheese are Georgia’s best known traditional cheeses but there are many others that are less well known but of outstanding quality and taste. 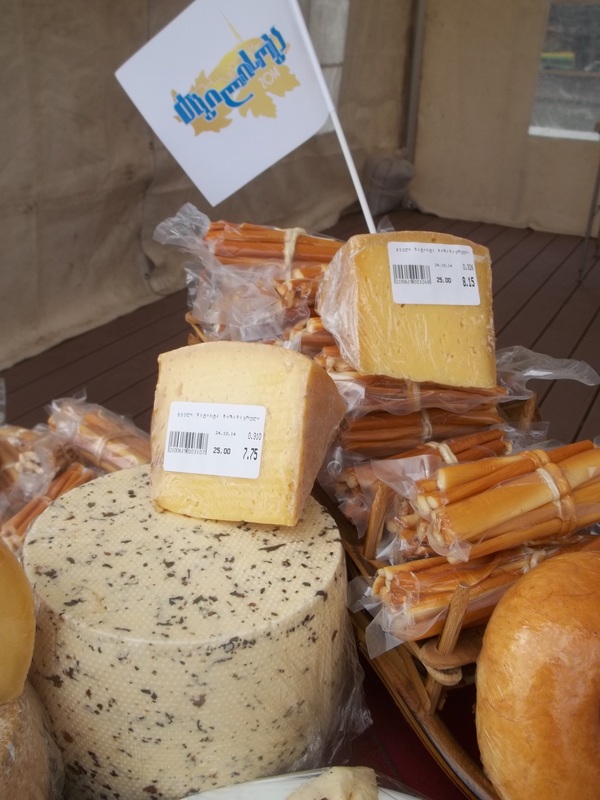 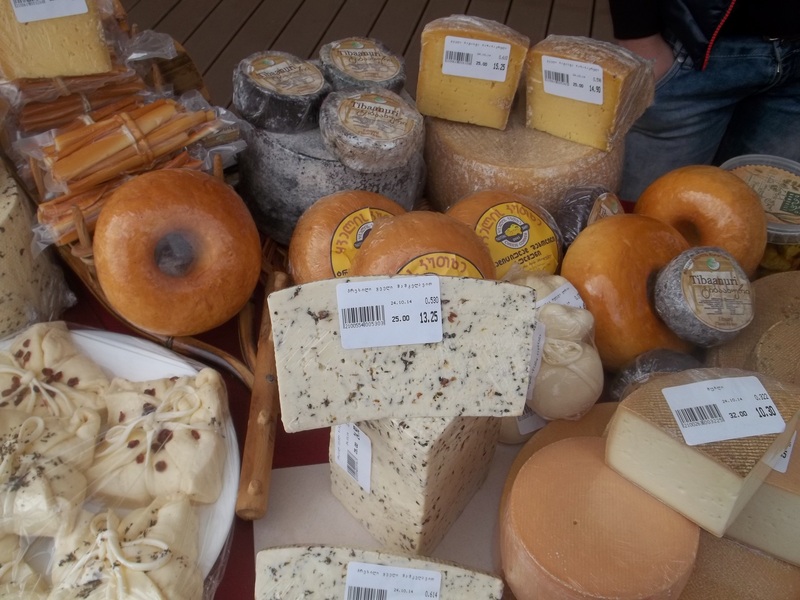 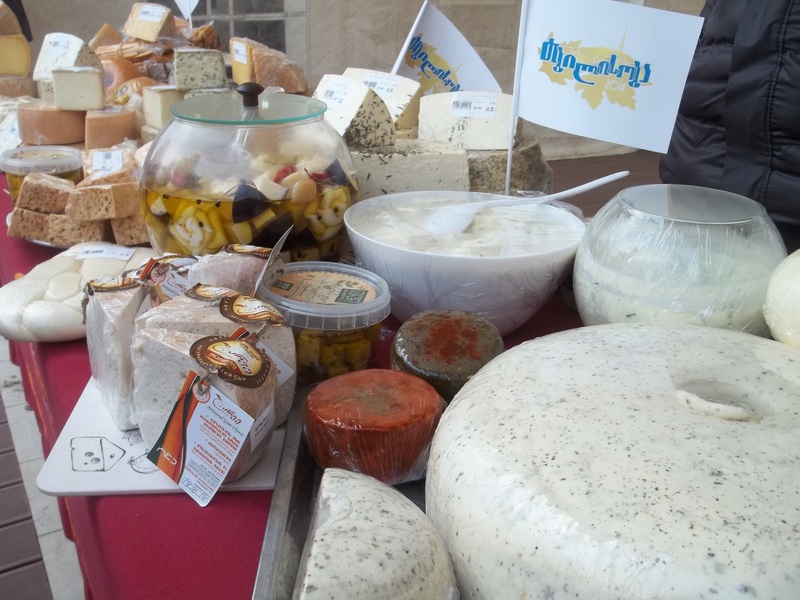 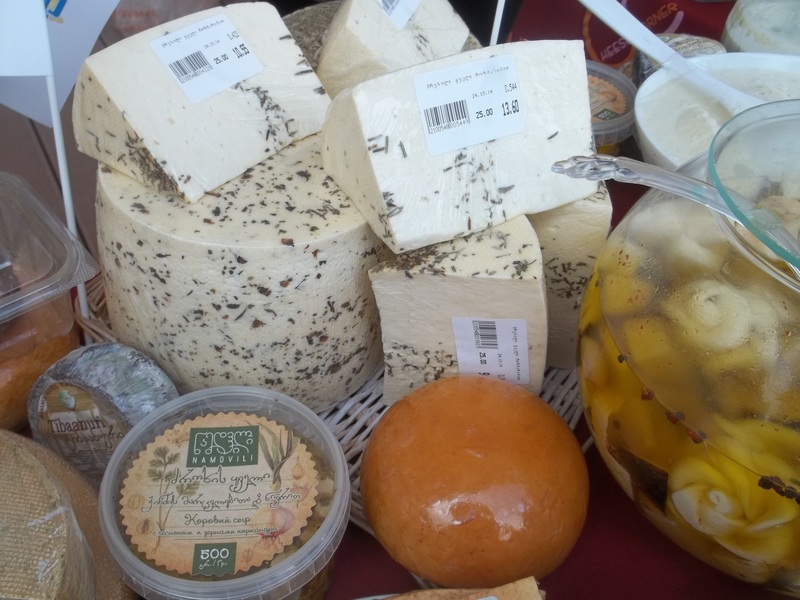 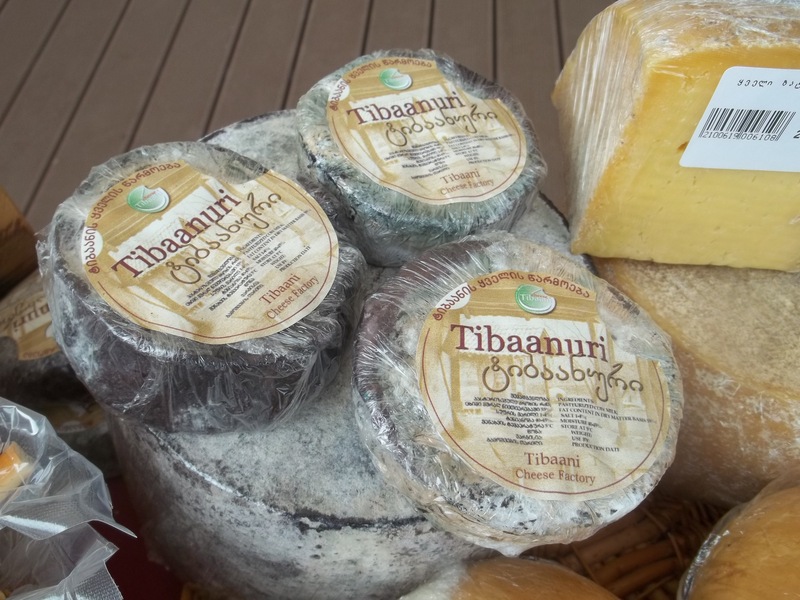 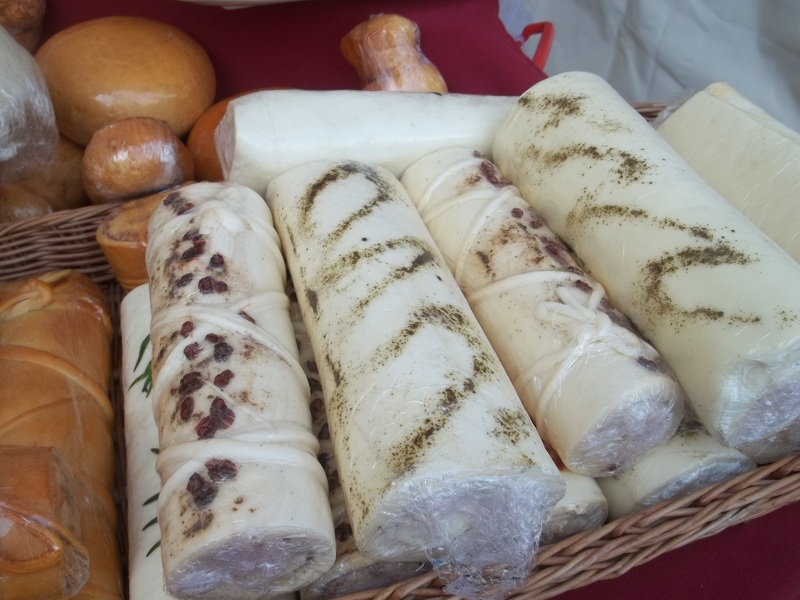 Tbilisi’s annual October festival, “Tbilisoba” (Georgian: თბილისობა), was an opportunity for Georgia’s cheese makers to show off the diversity and quality of their cheeses to Tbilisi residents, visitors and tourists. 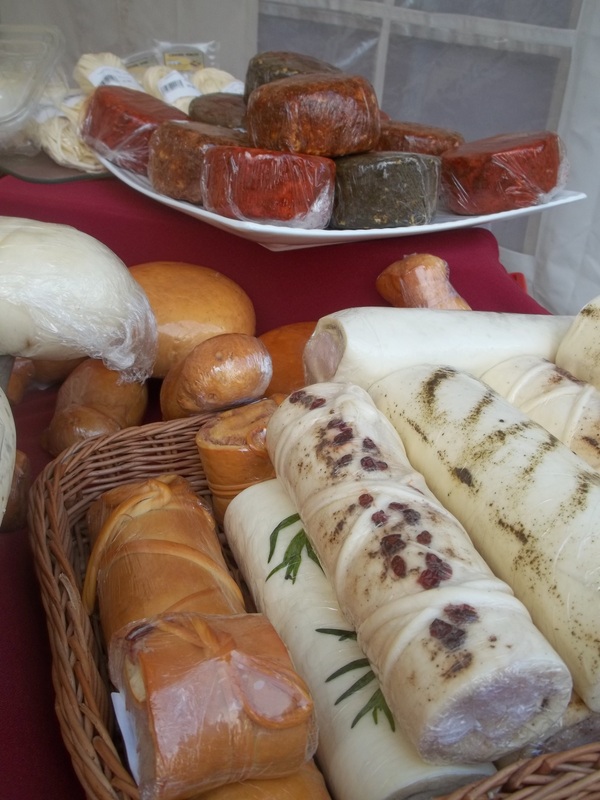 Georgian soft cheese at Tbilisoba. 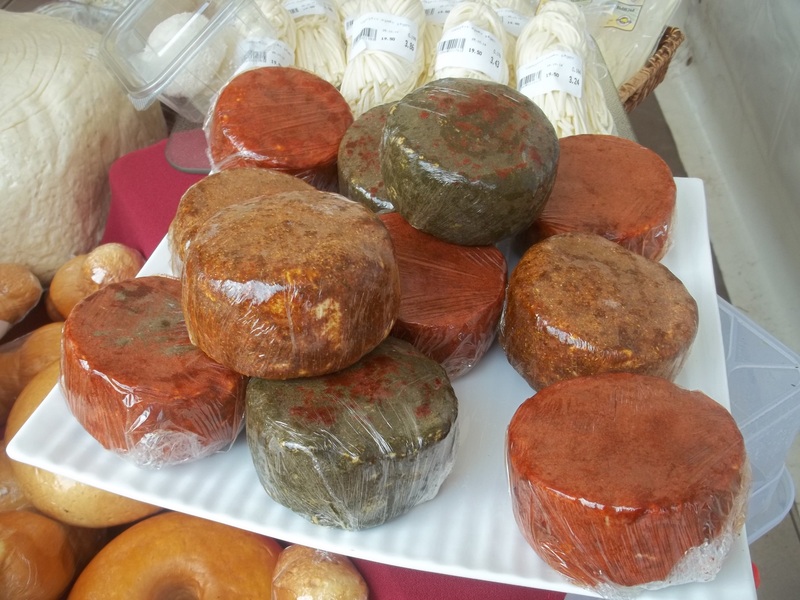 Colorful Georgian cheese at Tbilisoba. 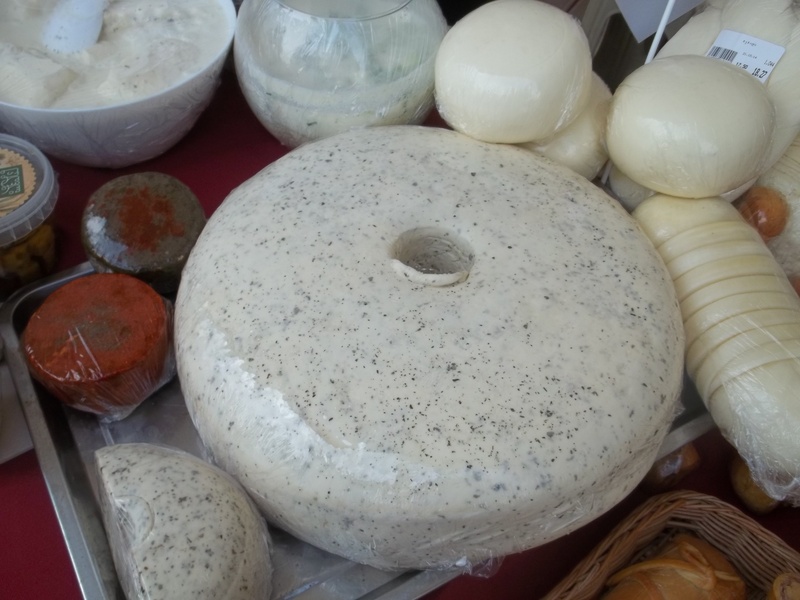 Georgian cheese with herbs at Tbilisoba.